Welcome to your new home in the Apple Ridge II community. 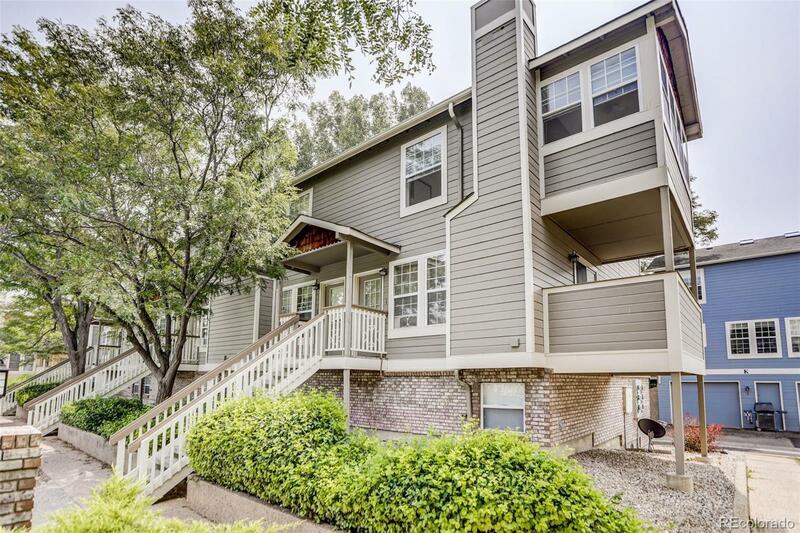 This highly desirable rare end unit features 2 bedroom/2 bathrooms and attached one car garage. The split level floor plan makes entertaining a breeze. The main floor features the kitchen with a sunny dining room, the large living room features a cozy wood burning fireplace. The private patio just off the living room features views of Maxwell Natural Area. Walk upstairs to find the two bedrooms, featuring a master bedroom with 8 windows, flooding the room with natural light. Newly Painted Bedrooms and Bathrooms. With the community pool just steps away and minutes away from the hiking and biking of Maxwell Natural Park, you will be ideally situated to experience the natural beauty and outdoor recreation Colorado has to offer.